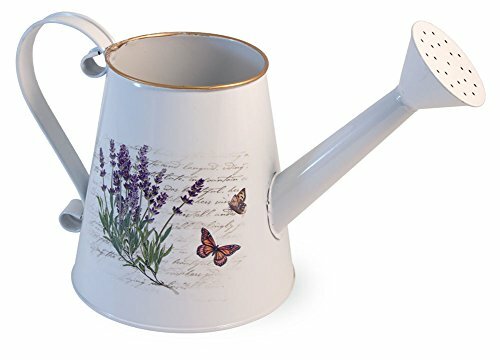 Classic long neck watering can design with timeless and beautiful lavender flower design. Made of quality metal with enamel finish. Measures approximately 10.5 x 5 x 5.5 inches. For decorative use only; Not recommended for gardening use. Ships in protective packaging.